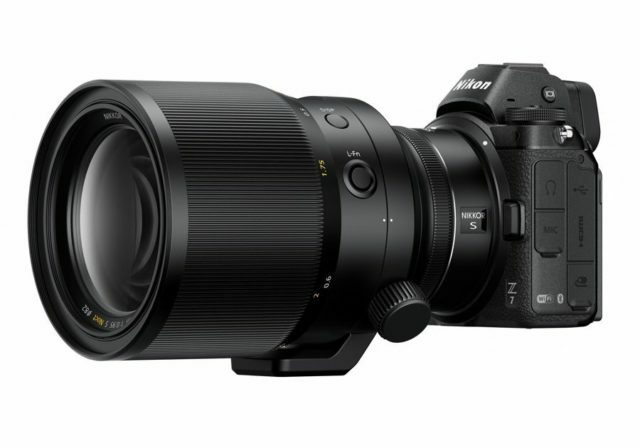 Earlier today, Nikon announced its new Nikon Z6 and Z7 full-frame mirrorless cameras. Along with the cameras, Nikon also took the wraps off a bunch of native Z-mount camera lenses, one of which captured the attention of many in the form of the NIKKOR Z 58mm f/0.95 S NOCT, which Nikon claims will be the fastest lens in Nikon’s history. With an aperture of f/0.95, it is not only the fastest lens in Nikon’s history, but also possibly one of the fastest lenses around in the market today. Unfortunately that speed comes with a very hefty price tag because according to Nikon Eye, during the presentation of the Nikon Z cameras and lenses that took place in Tokyo, Japan, they learnt that the lens will be priced at a whopping $6,000. That being said its asking price doesn’t really come as a complete surprise. Very often we have seen how pricing can differentiate by a lot based on aperture. For example a 35mm f/1.2 can sometimes be priced a lot higher compared to another 35mm f/1.4 lens, or f/1.8 lens, so to hear that an f/0.95 lens could be priced at $6,000 isn’t that shocking. Of course whether or not you will need such a lens depends on your shooting style. Safe to say that its extremely wide aperture will offer up very beautiful bokeh, but at the same time make it adept for use in low-light situations. There are also other features that could have contributed to its price tag, such as a display on the lens itself that shows details such as aperture, focal length, and depth of field. There is also two different anti-reflection coatings, and an additional Fn button that can be assigned. We should also point out that the lens will only feature manual focusing. This means that despite all the talk about the Nikon Z-series’ autofocusing abilities, photographers will still need to manually focus with this lens. It’s a bit of a pity, but there are some photographers out there who probably have no qualms about it.